In the last days, the Bible tells us of a horrible series of events that will take place in the lands of Israel and Syria. One of these events is the disappearance of Damascus as one of the premiere cities in the world. The oldest continuously inhabited city on the planet, Damascus has witnessed at least 5,000 years of human history, and some historians believe the city actually dates back to the seventh millennium BC. In fact, Paul was on the road to Damascus when Christ first appeared to Him, an event that transformed not only his life, but the course of human history. In the very near future, Damascus will once again play a major role in human events. The prophet Isaiah provides us with God's commentary on a future conflict between Damascus and Israel, and in so doing, he reveals certain prophecies which have been partially fulfilled in the past. However, the ultimate fulfillment of Isaiah 17 remains in the future. The current existence of Damascus, which will one day cease to be a city, as well as the historical absence of the coalition of nations prophesied to attack Israel and be destroyed by God, is proof that Isaiah 17 prophesies events yet future. So how do we know that Psalm 83 describes the same scene envisioned in Isaiah 17? But are the nations cited in Psalm 83 the only nations involved in this attack? It's quite possible that additional conspirators are named in the Book of Ezekiel. Isaiah 17 and Psalm 83 might well foreshadow the war of Gog and Magog. Looking at today's geopolitical landscape, it's not difficult to envision the scenario outlined in Isaiah 17 and Psalm 83. 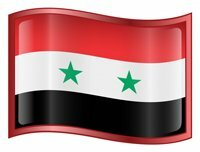 Syria has been adamant in its demand that Israel surrender the Golan Heights, threatening war if Israel fails to comply. Meanwhile, the summer 2006 war between Israel and Hezbollah has apparently convinced leaders in Damascus that Syria can be victorious in a conflict with Israel by simply overwhelming the tiny nation with rocket attacks. From a greater perspective, it has convinced the entire Islamic world that Israel isn't the militarily invincible nation they once thought. Syria's rocket technology is far more advanced than that deployed by Hezbollah, and Syria is known to possess chemical weapons, including the highly lethal VX and Sarin gases. If Syria miscalculates and attacks Israel with these weapons, the Israeli response will be swift and devastating. Israel is armed with nuclear weapons, and if its survival is put in question, it will not hesitate to use them. Today, the most virulent enemies of Israel reside in the very places named in Psalm 83 - Hamas in Gaza, the Palestinians in the West Bank and Jordan, Hezbollah in Lebanon, and the Syria leadership and its Axis of Evil partners in the city of Damascus.